Costa Rica Inbound – At the request of some of our host families and interested individuals last year, we have expanded the Inbound program to include Costa Rica along with Japan this year. The Summer Outbound Program – this is open to current or recent 4-H members who have participated in a county or state program. If you have specific questions regarding the Summer Outbound program, please contact the State 4-H Office. We are looking forward to hosting 12 Japanese delegates and 3 Costa Rican delegates this coming summer. The Costa Rica Exchange will take place June 26-July 21 and the Japanese Exchange will take place around the same time as last year: July 21-25 to August 18-22. We are attempting to get families in place much sooner and placements for delegates well before the busy summer season begins. Take a look and mark your calendars for this exciting adventure! Should you have any questions, please feel free to email Daniel Collins, NC 4-H State Coordinator at dpcollin@ncsu.edu! 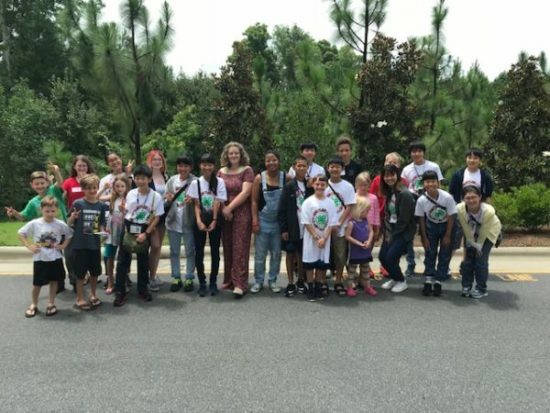 • The 4-H International Exchange Program Is Now Accepting Applications to Host Students From Japan Late July - Mid August.